Far Out Gallery presents Ephemeral Seas Vol. 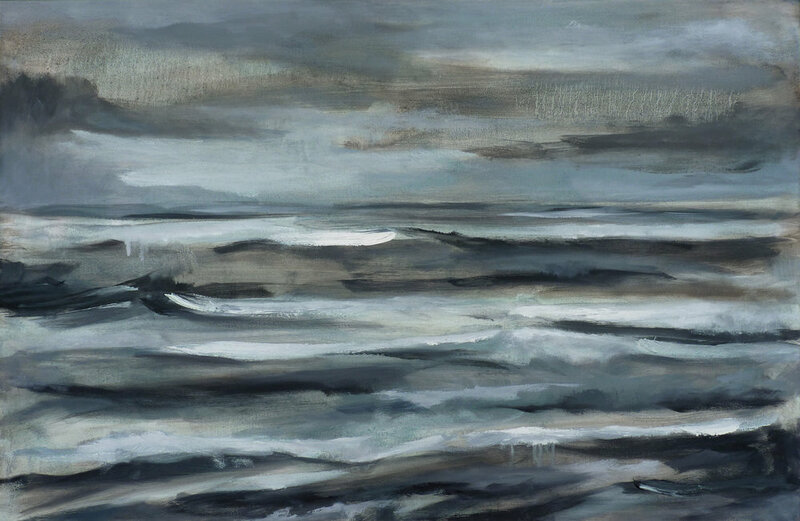 2, the second installment of seascape paintings by Jeffrey Nemeroff. 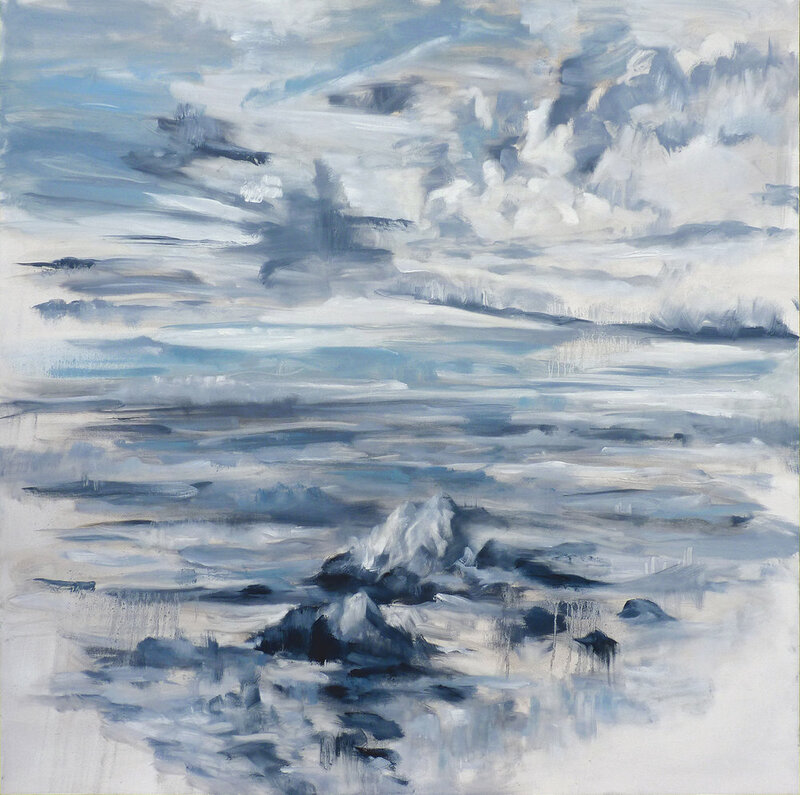 Inspired by the coastline of San Francisco where the artist resides, his work investigates that singular moment­ when the relationship between the sea and sky will never be the same again. I’ll be showing a collection of brand new work at Code & Canvas during the final weekend of SF Open Studios. With a total of 17 resident and guest artist’s on site that weekend, it’s going to be a great venue to visit! A big thanks to Room & Board for inviting me back to participate in their exhibit supporting ArtSpan’s Open Studios. This year I’ll be presenting a brand new collection of seascapes inspired by summer on San Francisco’s coastline. I'm thrilled that my painting In the Struggle for Life has been selected by ArtSpan for their room at the stARTup Art Fair in San Francisco. Now in its fourth year, the fair returns to the Hotel Del Sol where the work of over 60 artists and local art nonprofits will be showcased. On April 21-22 I'll be exhibiting work in the gallery at Hunters Point during their Spring Open Studios. Last summer I was fortunate to have used the studio of artist Jenny Wantuch, so I'm excited to present paintings that I created at the Shipyard during that time—as well as never-before-seen pieces from 2018! February 22–25 are the last few days to catch the exhibition, where twenty-five of my recent paintings are on display. Come meet the artist at Far Out Gallery on Saturday, Feb 24, from 3–6pm. The paintings in this exhibition represent the last 18 months of my studio practice. My previous work was often deeply effected by the sea, so studying it further was a natural progression. These oil paintings—more gestural and of varying degrees of abstraction—are a culmination of my investigation. Seascape Series Featured in the "Palm Beach Daily News"
I'm very honored to have my recent seascape series featured in an article in the Palm Beach Daily News. Titled "Art, Colors of the Sea Inspire Waterfront Designs," the piece was written by interior design extraordinaire Carleton Varney and can be read online. 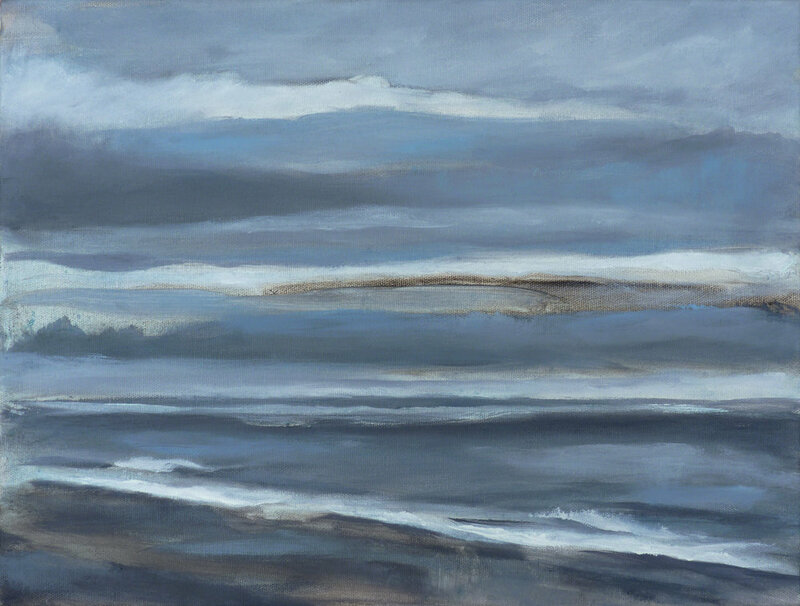 Several seascapes will be exhibited at YONDER's recently opened SF location. I've been investigating the genre for just over a year now, finding a voice that lies somewhere between representation and abstraction. The paintings here will portray various steps of this journey. I'm happy to be participating in one more Fall exhibition here in San Francisco. There will be a couple recently-completed abstracts in the show including In the Struggle for Life, a painting that was featured in an article Luxe Magazine did on my art and home studio. On the weekend of Nov 4–5 I'll be participating in SF Open Studios at Room & Board. But you must come to the preview party on Thursday, Nov 2nd, because it's going to be HUGE! Come enjoy food, drink, live music and meet 16 talented San Francisco artists. I'm thrilled to be featured in the San Francisco edition of Luxe Interiors + Design. One of the country's top luxury shelter magazines, Luxe is a super glossy book with high-end design projects and products. It's a real honor having my home studio, finished artwork and works in progress showcased! I'm honored to have three paintings selected for Natural Wonders, an exhibition at the San Francisco Women Artists Gallery. Curated by Kevin B. Chen (curator, writer, visual artist), the exhibit will include 60 pieces by artists from around the Bay Area. I'm honored to be included in a four month installation at UCSF Women's Health Center curated by Matt McKinley. The exhibition consists of work from five artists that "investigate the intrinsic nature of their chosen subject matter to convey a feeling, a memory or sense of nostalgic connection in order to engender a positive mood." Please join me for a special reception of "RAW" at Space 151 in San Francisco on Friday, Nov 18, from 5–8pm. Several of my mixed-media compositions are being exhibited as well as the work of two other San Francisco artists, photographer Melissa Shanley and multi-media artist Katie Chin. November 4–29: Several of my mixed-media compositions will be shown at Space 151, Levy Art + Architecture's brand new exhibition space in SF's Potrero Design district. "RAW" will examine the abstract and textural themes of my work as well as the work of two other San Francisco artists. On October 22 and 23 I'll be participating in Open Studios at the Journal Building in San Francisco. It'll be an art-filled weekend where you can view the work of twenty-eight resident and guest artists. I'll be presenting work on paper, small abstracts, and work created during my artist residency in Norway. I'll be introducing several new seascapes in an exhibition at Table Asia Gallery in San Francisco. These paintings were inspired by my recent artist residency in Northern Norway, but in this case depict local scenery—specifically the dramatic coastline of SF's Outer Richmond. I hope you can join me at the opening reception on Saturday, October 1st, from 5 to 7pm. In August 2016 I was included in an article about the North Norwegian Art Center's artist residency I attended last March. The story appeared in a local Lofoten magazine published by Vaganavisa called LofotenPluss.